While speculation around the Barack Obama Presidential Library continues to swirl, plans for one of the project’s four potential sites just became a bit clearer. The University of Chicago, where the President taught law, made public this week new renderings and details of their bid for the nation’s 14th such library, trotting out sunny images that show the economic development potential of investment in the South Side areas surrounding Washington Park. The University of Chicago is among four finalists selected to vie for the library, whose governing nonprofit is expected to deliver a decision later this year. (Hawaii, New York City, and the University of Illinois Chicago also submitted proposals in December.) 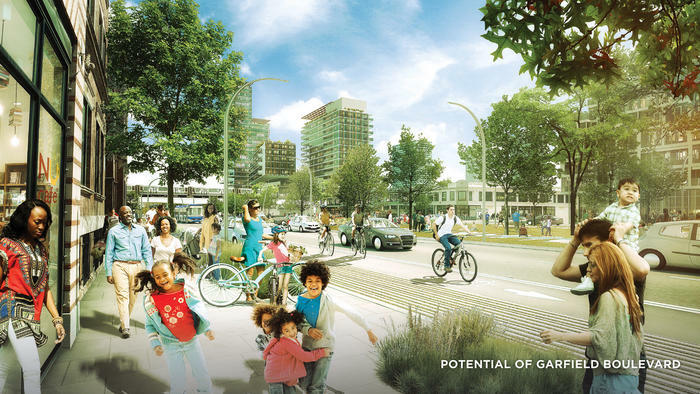 They proposed two sites, according to the Chicago Tribune: one in western Jackson Park, bounded by South Stony Island Avenue to the west, South Cornell Avenue to the east, East 60th Street to the north and East 63rd Street to the south; the other in western Washington Park and 11 acres outside of it, stretching as far west as South Prairie Avenue, and encompassing the Garfield Green Line stop. Both areas include land not owned by the University, which an anonymous source close to the deliberations previously told the Tribune could make the committee “hesitant to commit” to the plans. Washington Park, which borders the University of Chicago’s Hyde Park campus, was designed by Frederick Law Olmsted and his partner, Calvert Vaux, the designers of New York City’s Central Park. 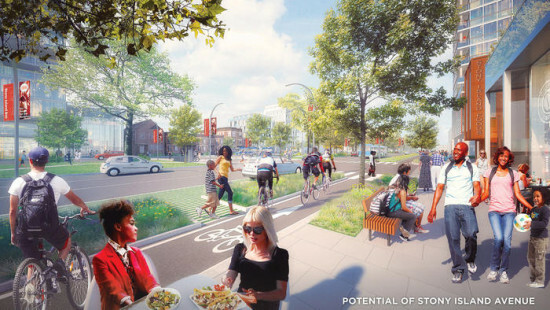 But Susan Sher, who is leading the the University of Chicago’s library bid, told the Tribune‘s Melissa Harris it’s common for such projects to include existing park space. “When you look at the possibilities and the criteria of having enough space for the legacy of a major historical figure, you can’t just plop it in the middle of a shopping center,” she said. 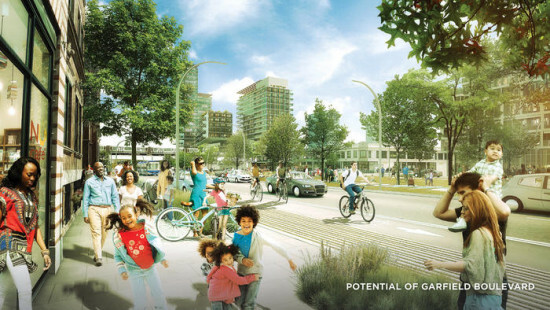 The University’s hometown competitor, UIC, proposed a park that would bridge the Eisenhower Expressway, as well as economic development and community resources for underserved West Side areas. While UIC’s proposal is more straightforward in its ownership, it also faces obstacles. Illinois’ new governor, Republican Bruce Rauner, is expected to appoint a new chancellor of the public university system, which could sow uncertainty about the institution’s library plans.